Supreme Court Justice Ruth Bader Ginsburg returned home from the hospital today after suffering three fractured ribs earlier in the week when she took a fall at her office. “She is doing well and plans to work from home today,” Kathleen L. Arberg, a spokeswoman for the Supreme Court said in a statement. 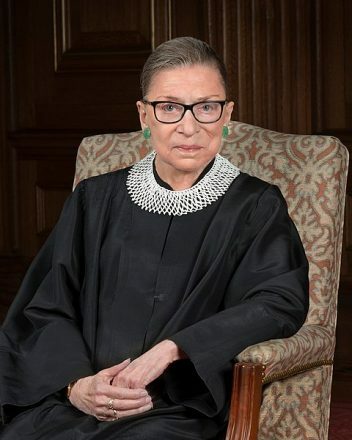 “Ginsburg has yet to miss a day of oral arguments, according to the law project Oyez from Cornell University and Chicago-Kent College of Law — not while undergoing chemotherapy for pancreatic cancer, recovering from surgery for colon cancer, or the day after her husband died in 2010,” reports ABC News. The next date the Supreme Court will hear oral arguments is Nov. 26.